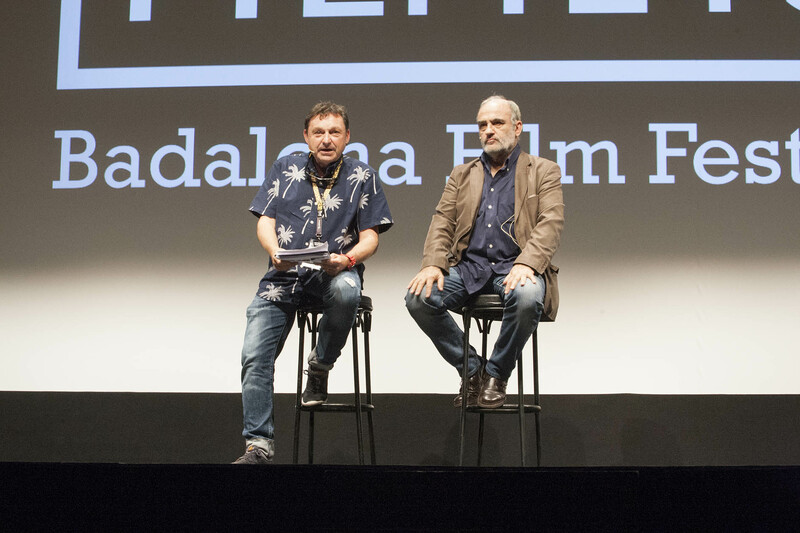 FILMETS Badalona Film Festival has experienced this afternoon some peculiar and original moments –in the Zorrilla Theatre, students filling every seat, the TV character ‘Merlí’ has made is comeback. Francesc Orella has played the beloved teacher once again, as a reminder of the character ‘Merlí’ that has made him so popular recently on Televisió de Catalunya. Francesc Orella has visited FILMETS film festival to present his short film ‘Letargo’. But the audience has got to see more than the film. Francesc Orella has played once again ‘Merlí’, but this time in real life. As for the film, ‘Letargo’ is a short film whose only character is a 70-years-old man, of weak health and whose harsh and dramatic life has marked his face with deep lines of solitude. He strives to survive in his old rented apartment in the city. His only companions are a stray dog and some video tapes.